Tony is Managing Director of Barrow-based engineering firm SN Group. He began his working life as an Apprentice Fitter with Vickers Shipbuilding and Engineering Ltd and was later promoted to Project Engineer. In 1993, Tony left VSEL to join Centrica Energy where he worked on the build of the new North Morecambe terminal. 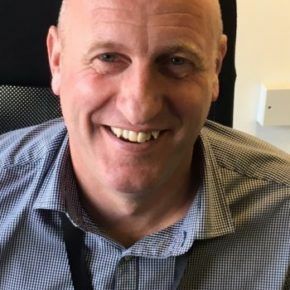 In an 18 year career, he held a number of senior management roles including Maintenance Engineer, Field Operation Manager and Supply Chain and Logistics Manager. In 2011, Tony left Centrica to take over his father’s companies, Scurrah Nassau Ltd and St Andrews Engineering, which he re-branded as SN Group. Tony has helped grow the business with the acquisition of Sub-Tech Systems in 2013 and Ropax in 2014. The company now employs 58 people and holds contracts in defence in both the UK and Canada. Outside of work, Tony was a director of Barrow AFC for 12 years. He plays golf and has a keen interest in most sports. Tony grew up in Ulverston and currently lives in Barrow. He is married to Lynne and they have two daughters, Abigail and Rebecca.